One fourth of 2011 has already been passed yet I’m talking about 2010, apologies for that. But I somehow ended up landing on MovieFone’s list of 50 Best Movies of 2010 and noticed that I only watched 9 of them. I thought I’d note the titles here on my blog followed by my comment on them. If you want to see the full list of 50 best movies, you should open this page in another tab. No spoiler contents are in this post so you can read thoroughly without any fear of understanding the story. I must say that I’m disappointed to see Shutter Island on 44th in the list. It deserves to be among top 20 in any list built for 2010 movies. 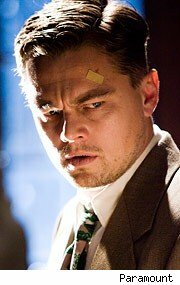 When I watched Shutter Island, I was so attached to the film that I wanted its length to be longer than it is. Not only the cinematography, camera, environment (set), dialogues and acting were superb but also the story is outstanding. Although I was still confused whether Leonardo DiCaprio was really a patient (I’m sorry but I don’t know what his character’s name was in the movie), I loved the overall story. What attracted me most was the environment shown in the movie. I love that kind of environment. Probably it played a great role for me in liking the movie that much. Plus I love mysteries. 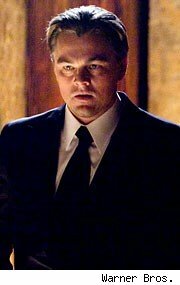 So, if you love mysteries, you must watch Shutter Island right away. I first learned that Red actually meant Retired and E….. D….. (okay, you gotta find this out on the movie). I am not a big fan of action movies but they don’t bore me either. So, often I sit with action films and yes I really do enjoy them. Red is not only an action movie, but it has some other essence, too. What it is? I’ll not say. Watch it for yourself and let me know if you liked it. This movie is not a must watch. But if you’re a fond of action movies, then Red is worth watching. 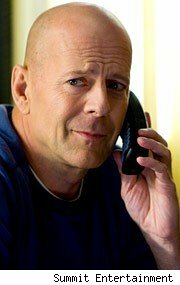 Even though I’m not a big fan of Action movies, I totally loved The Other Guys. You briefly see The Rock (who I heard is returning to wrestling lately) and then the movie’s real story begins. The beginning of the film (right when the title is shown) is just awesome. I loved the concept. I also loved the overall story. It’s said to be an action-comedy movie, but I’d say it has a moral, too. One moral, that you understand at the very last part of the movie before the credits role. Sit tight, there’s a scene after the credit, too. If you’re feeling too hard about life and want a movie to cheer you up plus if you like English movies, The Other Guys is recommended from my side. Yes, I do admit that I don’t find watching Animated films a waste of time. I like movies. The fact is, most animated movies does not only have a touching story but also a moral on the background of it. Take Kung Fu Panda for example. The secret ingredient is you. Doesn’t that tell you a lot about self-confidence? Despicable Me may not have such a moral on the background of the story, but it’s a story of different concept. The story is fun. Throughout the movie you’ll never be bored if you’re really watching what’s happening on the movie. 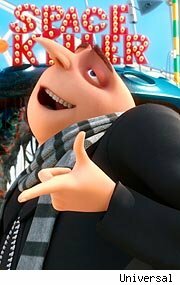 If Gru was a real actor, I’d say he deserved an award for his performance. The dialogues are nice, and so is the music. What you will most probably love about the movie is the minions. They are Gru’s creation and they are so sweet, cute and lovely. I found a YouTube video on my Facebook News Feed that had some video clips of these Minions doing some funny things. I bet if you buy a DVD or Blu-Ray of the film, you’ll get those cartoons free. 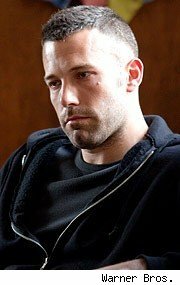 The Town is a story of a group of bank robbers but the story mainly focuses on one particular robber who happens to be in love with one of his hostages. He then prepares to go against his team, leave the world of crime and lead a simple life with the one he’s in love. But we all know that crime world is very dangerous. Once you enter into it, it becomes terribly hard for you to leave. We see an illustration of how hard it can be on the film. I did enjoyed the movie, but not that much. Sure many people liked it or else it wouldn’t have made in the top 20 list. But for some reason, I found it pretty boring. 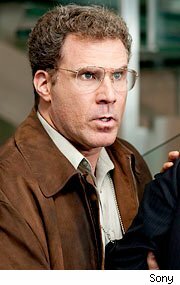 Not because I can’t watch slow movies, I do watch a lot of slow movies. Moon is one of them and I did love it. 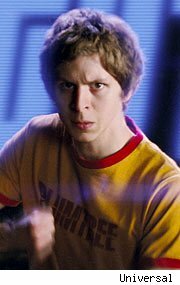 If you’re like me, who played lots of 2D games once upon a time, Scott Pilgrim vs The World is a fantastic movie. No matter how bad your mood is, this movie will cheer you up from the very beginning of the movie when you usually see the credit of the production company (in this case, Universal). 8-bit sound will take you back to those 2D games and 8-bit sound world throughout the movie. The movie is mainly based on a romantic story where you will also find action against Scott’s new girlfriend’s seven evil ex boyfriends (referred as evil exes). Don’t worry if you hate Action movies like my sister. Because these actions will still remind you of those 2D game action scenes. It is a movie worth watching. Highly recommended from my experience. The movie is a story of love. Three kind of love, actually. Love for pet, love for girl, and love for father. If you watch this movie, you’ll find out how the scriptwriter has wonderfully put three kinds of love in one story. You’ll love the concept of the movie. You’ll love the attracting animation, acting of the stars 😉 and of course the background music that adds more essence to the relating scene. From my side, it is a highly recommended film. I must say that I loved the movie. For those who love sci-fi and mystery, this movie is a combination of both. Wait, there’s one more genre you can add this movie to. Action. Yes, it’s an Action film, too. From the streets of a city to a land of ice, there’s action everywhere. But I do have advice for anyone watching this film. Pay attention to what you’re seeing. For most part, this movie may look like a little bit of optical illusion. But if you watch closely, pay attention, and watch twice (which I didn’t, because this is not the type of movie I love), you will like the movie. Luckily, I did watch the best movie of 2010 in MovieFone’s eye. 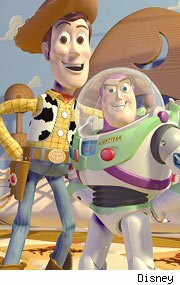 Toy Story 3 is the first movie I watched among Toy Story 1, 2 and 3. But I didn’t have any difficulty understanding the story. The story is engaging, appealing, and very unpredictable. I heard many people making fun of Toy Story 3 without even watching it. But it is a movie that you should watch at any cost. 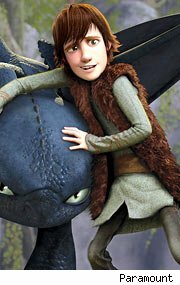 This movie will teach you a lot about how awesome an animated film and its story can be. I didn’t look for any moral on the background of the story. But what I watched was just more than what I expected. The movie has love, thrill, humor and suspense. Let me tell you I never found suspense in animated film as much as there is in Toy Story 3. I was like crying (I didn’t cry, don’t grin!) in the ending part of the movie. So, if you like suspenseful movie but never watched an animated motion picture before, Toy Story 3 is highly recommended. Let me copy-paste the first sentence of what MovieFone has written on its website: “Saying ‘Toy Story 3’ is “just an animated movie” is rather like saying the Taj Mahal is just a building. Or a Ferrari is just a car.” You get the picture, don’t you? If you liked my list and convinced enough to let your twitter followers know about it, retweeting is easy. You can also share it on many other social networking sites including Facebook. Which one of these have you watched lately and what will be your short review about them? I’m waiting to hear your comments. Next Google Introduces Gmail Motion – Control Email with your Body! It was good Sajib. I think you have no problem reviewing at all. I have watched Toy Story 3 but I am afraid I might understate it so I guess I’ll do it after I watch the whole trilogy. Yup, I often mess up with the English. Thanks for your comment. I loved Toy Story 3. I’ve seen Toy Story 3 and How to Train Your Dragon, and loved them both! Another favorite of mine is (although not included in your list above) is Megamind; it is so hilarious! out of these i only saw despicable me and toy story three…and thats only because they are rated G (i think) lol. The others I want to see but have not yet…my winter break list is getting longer and longer!!! Great flicks! Keep up the good work. Thank you for your comment and stopping by. 🙂 Which one of these is your personal favorite?